One of the best, and surprisingly often overlooked high energy-efficient climate systems available today is geothermal. As it taps into the naturally balanced temperatures below the Earth's surface and provides constant year round comfort and savings, it is a wonder why every home has not utilized this mass source of free energy. 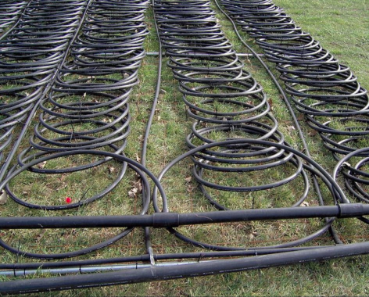 While popular belief is held that geothermal is not worth the larger price of set up and maintenance effort, we can assure you that many of our clients have seen their air conditioning and heating savings pay off the entire installment in under 5 years. And with a typical lifespan of 25 to 30 years, and a 50 percent reduction in expense rates, the savings afterwards quickly add up! While Florida in no way possesses the underground steam necessary to create thermal electricity, its temperature below ground maintains a comfortable 72ºF throughout the entire winter and summer, making it a perfect candidate for climate control through heat transfer. The basic way that the system works is by using small amounts of energy to collect and move bigger amounts, typically through hydronic radiant networks within your home and the ground. 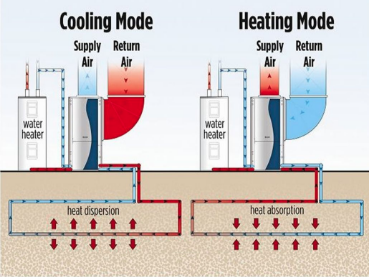 It is a process in which heat is removed from the home and expelled into the cooler land during the air conditioned mode of warmer months, and transversely stored ground heat is brought into your home to heat during the winter. This method not only guarantees an endless supply of energy to work with, but does so in a manner that is renewable, environmentally friendly, and exceedingly clean. Installation is very easy in most homes and can be done in a variety of ways dependent on your specific layout and what the surrounding geography offers. The main components include fluid loops, which act as the carriers of energy, pulling it to heat sinks, weather that be into the ground, a natural water reservoir, or open air. Loops can be placed in many different manners including trench, slinky, vertical, bore, and others, all tailored to give you the maximum use out of your land. Typically the fluid mix within these pipes consists of water and various ingredients like antifreeze. Geothermal heating and cooling is still a somewhat underutilized and misunderstood climate solution by the general public. But the service has slowly seen a rise in sales the past few years, and many well versed technicians and researchers in the field believe it has enough potential to become one of the future's most common forms of temperature regulation. This service may be great for you if you believe in the long term vision of spending a little more to save a lot more. 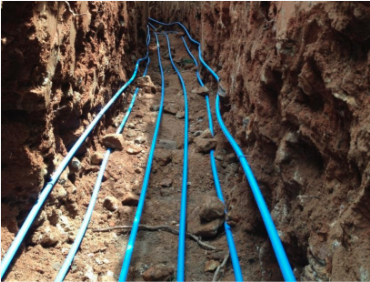 If this sound like something you may be interested in and would like to learn more about geothermal installation or hear personal testimonies and reviews, give us a call today and our team would gladly speak with you. If you decide to make the investment, we guarantee nothing but the absolute best installers and contractors, and would love the opportunity to work with you and bring your home cutting edge technologies in climate and comfort!